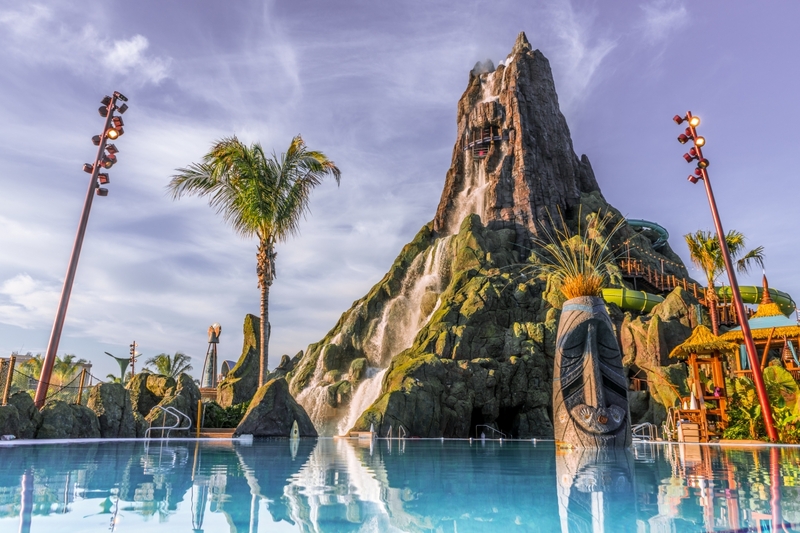 The first of Volcano Bay’s two leisure pools, The Reef is five-and-a-half feet deep and sports its own private waterfall. The real stand-out feature here, however, is watching riders shoot down the Ko’okiri Body Plunge, whose clear plexi tube snakes through the pool. 0 out of 5. You just swim! The Reef is home to multiple TapTu Play points. This is a perfect spot to look up to the Krakatau volcano and observe many of the cleverly-hidden Tiki faces carved into the rock work.